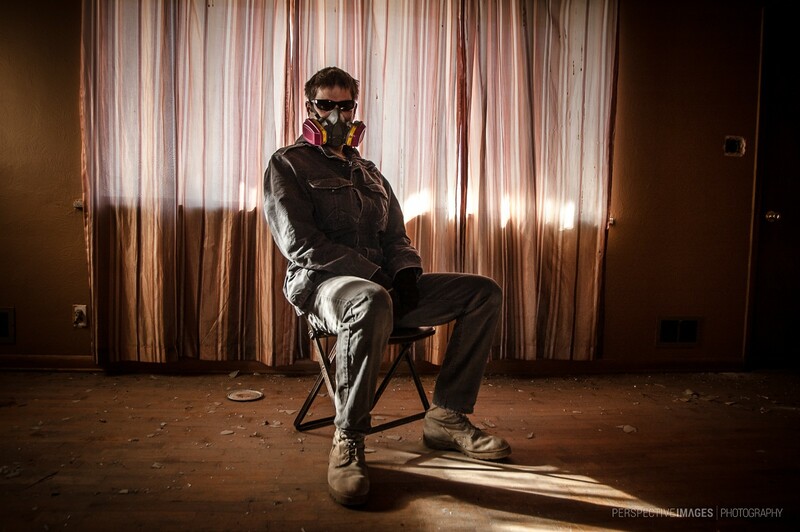 The lighting and decay inside this abandoned home was perfect for this shoot. Very little remained at this broken down home except for a few chairs. This house is one of the many victims of the encroachment of heavy industry into former rural areas. This reminds me of the final episode of Breaking Bad. 🙂 Have you seen that? It’s one of the best shows I’ve ever seen! For me, this creature is a serial killer. Thankfully you are wearing the exact right gear for these places – I’m surprised at how many explorers go in unprotected. Nice site – where are you based? I try my hardest to avoid lung disease 🙂 Thank you! I’m up in the snowy Colorado Front Range.